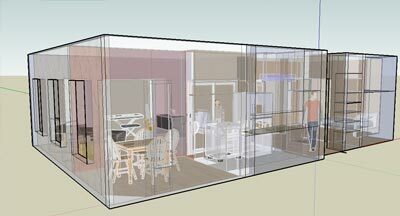 In addition to our extensive development, cityCore also specializes in 3D modeling. 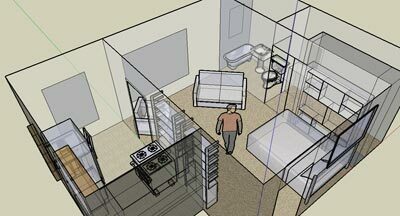 Our modeling solutions are typically used for showcasing houses, apartments, offices, and outside elevations. The models are not intended to be used for architectural purposes, but are fully 3D and able to be rendered from any vantage and under any lighting. The turn-around time for our modeling work is usually a few days depending on what sort of dimensional analysis is available. Pricing for our modeling services varies significantly depending upon the factors involved. Generally speaking, modeling estimates are $75.00 - $105.00 per hour depending on the level of detail required, and the method of input. Models generated from existing blueprint or dimension documents do not require the additional costs of taking physical measurements. 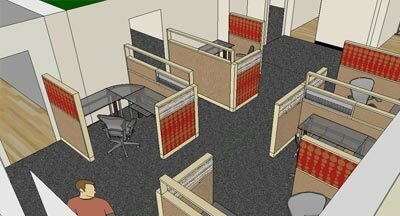 As a general rule of thumb, a 500 ft2 modeling space requiring physical measurements will take about 6 hours. Question: I do not have blueprints available for the structure, can I still use your services? Answer: Yes. 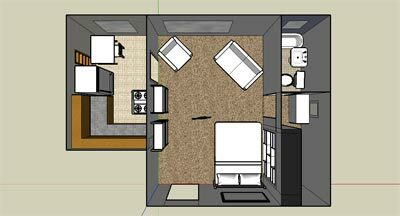 We are accustomed to showing up on site and taking physical measurements of the entire space. 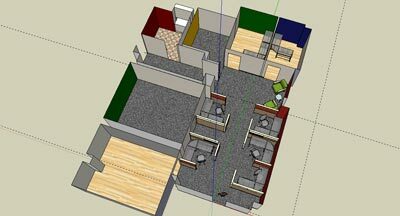 In fact, often times we will digitally construct the base floor plan on site when taking measurements. This helps us to ensure accuracy. Question: What is the typical level of model accuracy? Answer: Although we can utilize technologies to be accurate to fractional pieces, we typically measure everything to the quarter inch. Question: Can I request rendered images from any angle / location in the structure? Answer: Yes. We can provide you as many rendered angles as necessary, and from any type of projection. Question: What file format(s) can I receive the rendered stills in? Answer: Virtually any. We support a wide range of digital compression methods such as JPEG, GIF, PNG, TIFF, BMP, and etc. Question: Can you create motion walk-throughs of a rendered structure? Answer: Yes. For additional fees we can render an entire sequence of motion video for your structure. We are always happy to work with you in determing exactly how the cinematography action will take place, or have a variety of 'best' shots that we can suggest for the action.